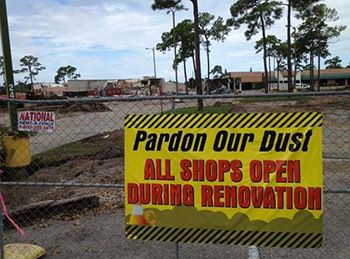 If you drove through Bonita Beach Rd and US 41 recently in Bonita Springs, you probably noticed the demolition underway for the former Beals store. A new center will be built to attract new tenants in an area promised to a great future as the real estate market rebounds. The Bonita Beach rd corridor is currently undervalued considering the location and the proximity of the beach and upscales neighborhoods like Barefoot Beach, Bonita Beach and Bonita Bay. Neighborhoods like Bonita Shores and Imperial Shores are also in complete mutation.